The story of the Oakland A’s is not as simple as it was told. They did not just find high on-base percentage players and ride that to a successful season. No sir. One thing that always beats good hitting is good pitching and there’s no mention of pitching in this entire movie. Why? Because it didn’t fit the narrative. Was their staff good? Hell, yes. The had a trio called “The Big Three” of Barry Zito, Tim Hudson and Mark Mulder. Zito was their ace. He went 23-5 and won the Cy Young award that year. Mulder won 19 games, and Hudson led the league in shutouts. That seems pretty relevant to me – you might want to mention it. Brad Pitt is a true movie star. You know who the movie stars are in this world when a person can get a movie like this made. It was a non-fiction book about baseball stats without a romance or female interest anywhere to be seen. Yet it still got funded and made. That’s the power of Brad Pitt. If the film The Social Network announced the arrival of the social aspect of the web, then Moneyball announced the arrival of Big Data. More than anything, the internet is being built on a stack of stats. There A/B testing, the Lean Startup movement, and other strategies that are incorporating data into everyday company life. Tom mentioned to me the difference between Zynga and Entertainment Arts (EA). Video games were once made, and still are (i.e. Call of Duty) as franchises were you spent hundreds of millions of dollars to make a game and then hope people play it. Zynga is a company that gets a group of 5 developers together, creates a game, then uses tests and data to see if it catches on. If it does, it continues, and if it doesn’t, they kill it. They are riding that strategy to an IPO that values them at $20 billion (with a ‘b’). Data has changed the game industry, the advertising industry, and many others. Data is telling us what’s important and what isn’t. That’s a very 2011 attribute and I can’t think of a better way to express it than through Moneyball. Oh, by the way, i think that – as a movie – the film is somewhat overrated and only a 7 out of 10. 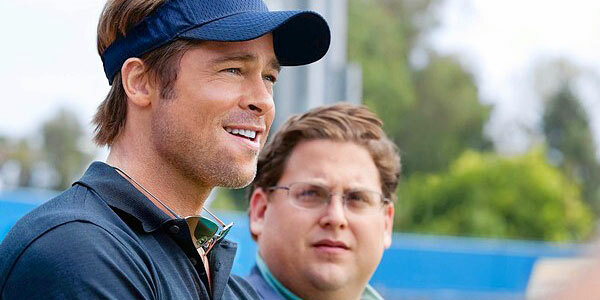 Interesting — lately, I heard more and more references to this movie, Moneyball. Now, I will see it. And I agree with you about the fact that data is influencing so many things – the least of which is my field, education. In education, everything is about data. Everyone is interested in stats — and giving stats huge importance. I think this is good. — and it’s saving everyone a lot of time, money and energy. @maryplew The data is everywhere. It’s an incredible trend.